at the base. Below the viewing area are buttons for image rotation, slideshow, edit, full screen view, actual size and delete. The right panel has three tabs - Search, Keywords and Metadata. 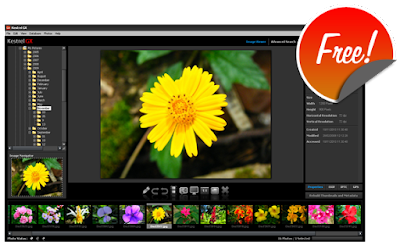 As the first step of the workflow, you have to keyword your photos using ratings, tags and categories. Once done, you can search for what you want from hundreds of photos in a jiffy . 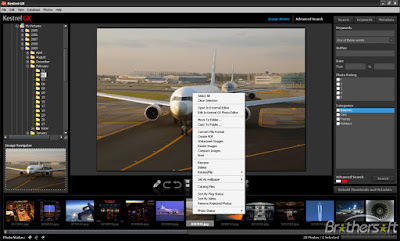 Advanced Search allows you to search based on fi le type, image resolution, exposure parameters, etc. The built-in photo editor is straightforward. To the left, you have 10 parameters, which include Level, Crop, Resize, Crop, Red eye and Watermark. 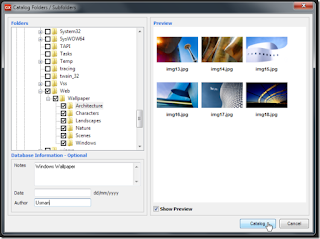 When you click any of these, a dialog box displays the original image and preview with sliders for adjusting the values. You have to remember to save the images before you exit the editor, because it doesn’t remember the parameters you adjusted. The application is very easy to use and a good starting point for beginners. However, you’ll find it frustrating to use on a basic PC or laptop because it’s heavy on resources.